I like to think that my husband fell in love with me because of my intellect, my heart, or because I was just so darn funny (which is not really true), but the truth is I think he fell in love with me because of my coffee cake. 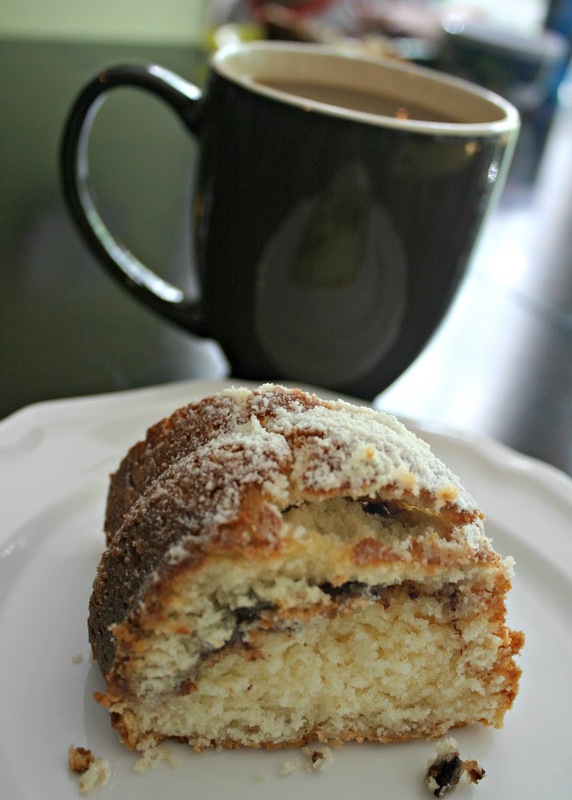 It was my coffee cake, not my smile that won him over. On Father's Day he didn't ask to go golfing with his buddies, he asked me to make coffee cake. He swears it's the best thing I've ever made so if you're looking to impress someone then you probably should give this recipe a try. In a large bowl use a mixer to combine the butter and 2 cups of sugar. Once the mixture is well combined add the eggs, one at a time. Add the sour cream and vanilla and continue mixing until blended. In a separate bowl mix together the flour, baking powder, and salt. Slowly add half of the dry ingredients to the wet ingredients until just blended, then add the remaining dry ingredient mixture until well combined. In a small bowl combine 1/4 cup of sugar, the brown sugar, and the cinnamon. Pour half of the batter into the pan. Sprinkle the cinnamon sugar mixture over the batter. Use a spoon to pour the remaining batter onto the cinnamon and sugar. Bake for 60 minutes or until golden brown. Use a toothpick to test doneness. You know that the cake is complete when a toothpick inserted comes out clean. Let the coffee cake cool until warm and remove it from the pan. Sprinkle with powdered sugar. Serve and enjoy with a hot cup of coffee! 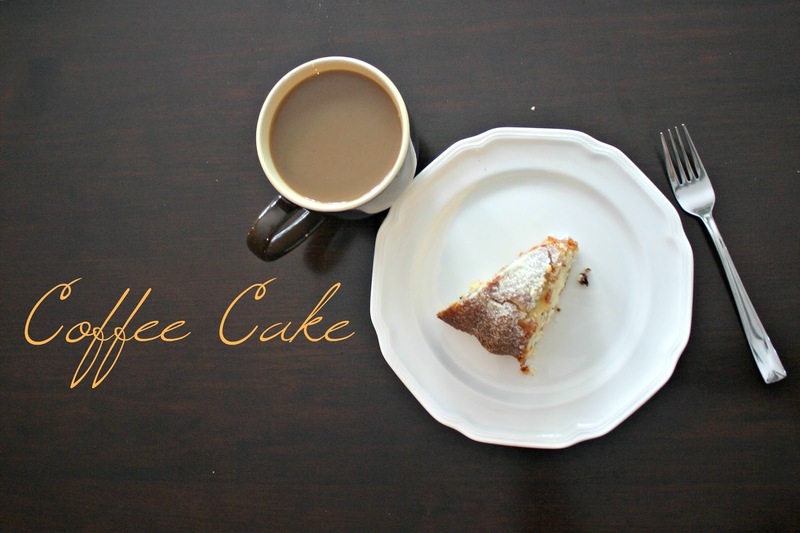 The secret to this amazing coffee cake is the sour cream. It makes the cake extra moist and delicious and is a great way to add some extra flavor and texture when you bake. Have you ever made something that completely won someone over? If so please share the recipe! Looking for some other great recipes? Check out my recipe collection here. Ooooh yum!!! Thanks for sharing this! It looks great! You're welcome. It's so tasty it's only fair that I share! It looks amazing! I need to try this recipe tomorrow for brunch. Omg can we say yum?!?! 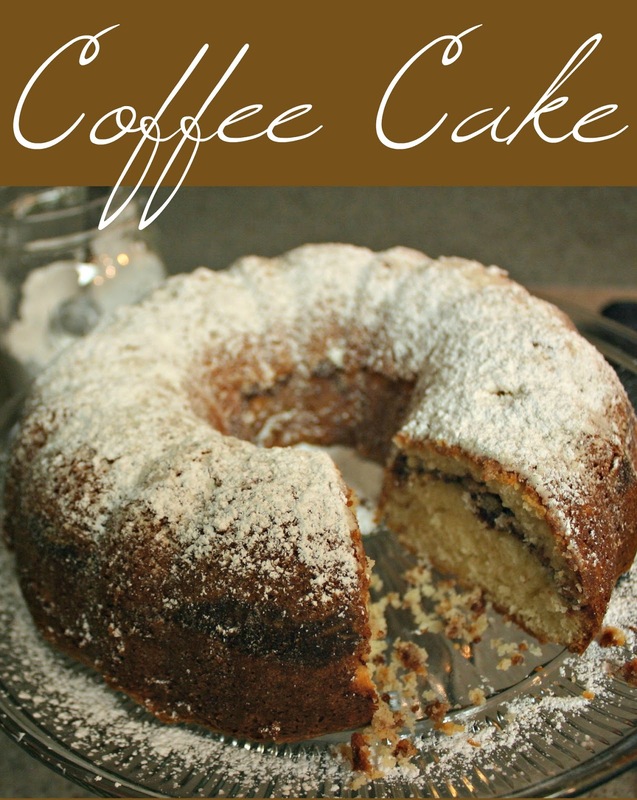 This coffee cake looks absolutely delicious. I must give it a try!